Plus, get the best deal we've seen on an Arlo Pro security camera system. Best Buy's Cyber Monday sale has officially begun! Sometimes the sale can yield deals that are just as good — or better — than what the store offers on Black Friday. Check out our top picks from Best Buy below! Get Cyber Monday Deals in Your Inbox! Sign up for the DealNews Select Newsletter now to get the best deals every day. When Cyber Monday deals go live, the best offers will come to you. NOTE: The information below was assembled before the Cyber Monday deals came out. Please refer to the deals above before making any shopping plans. When Does the Best Buy Cyber Monday Sale Start? 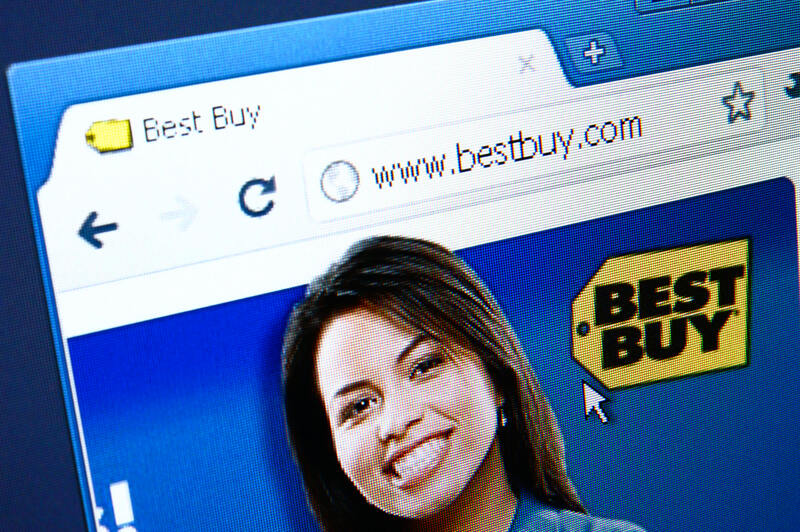 Many retailers kick off Cyber Monday sales a day early, and Best Buy is no exception. Expect Best Buy Cyber Monday deals to go live online on Sunday morning by 5 am ET, although select discounts could appear earlier. When Is the Best Time to Shop at Best Buy? With the online sale starting on Sunday, it's in your wallet's best interest to shop early. That way, you'll have a better chance of snagging inventory before it sells out. However, Best Buy's sale isn't restricted to just Sunday and Monday — a number of deals will hang around all week. Remember that the best deals will have limited quantities and go quickly, though. Best Buy will also likely have daily deals during Cyber Week, and it's worth checking the site early every day to see what's being offered. You don't want to miss out! Does the Sale Continue Into Cyber Week? If Best Buy continues past trends, then Cyber deals will be available long after Cyber Monday. Last year, Best Buy's sale ad spanned from the day before Cyber Monday through the following Saturday. That said, Sunday and Monday will typically have the best deals, and they'll be your best chance to snag an item before it sells out. What Will Be on Sale at Best Buy? Best Buy is first and foremost an electronics retailer, so it's no surprise that the best Cyber Monday deals will be on those items. And TVs should make up a big chunk of these electronics deals. Half of last year's Cyber Week ad pages included TVs. In Best Buy's Cyber Week ad last year, half of the pages contained TV offers — so you can expect a ton of TV deals in 2018. Two of the top Cyber Week TV deals from last year were a pair of 43" and 50" Chromecast smart sets at Best Buy. They fell to $200 and $300, respectively, and earned our Editors' Choice mark. In general, Best Buy should have a ton of TV deals for Cyber Monday. In the past, Best Buy has offered up deals on flagship phones for Cyber Monday, but they tend to be limited to one carrier. Last year you could grab the Samsung Galaxy S8 and Note8 handsets with a $300 discount, but only with activation on Verizon. Another Android phone that earned our Editors' Choice designation in 2017 was a then all-time low price for the Google Pixel XL on Verizon. Shopping for Apple? We could see offers for iPhones, but they'll likely be previous-generation models. Video game consoles were another item worth checking out at Best Buy in 2017. Best Buy offered the PlayStation 4 Pro bundled with Destiny 2 for $350. Not only was it a rare discount for the PS4 Pro, it also matched a Thanksgiving deal. Not all of Best Buy's electronics deals will be worth shopping during the Cyber Monday sale. Expect a few deals on laptops, streaming media players, and cameras. Unfortunately, these won't necessarily be the best deals. Best Buy's Black Friday sale will likely yield better deals for these items. Best Buy's site can experience slowdowns on both Black Friday and Cyber Monday due to high traffic. Try to be patient. In general, you should be prepared to shop fast, and to jump on a good deal when you see one. Sunday and Monday should be the best days to shop, having more deals than other days during Cyber Week. Quantities of in-demand items will likely be limited. Remember that Best Buy's site can experience slowdowns on both Black Friday and Cyber Monday due to high traffic. You might have to refresh pages several times in order to add an item to your cart and then check out. Try to be patient. Readers, will you shop the Best Buy Cyber Monday sale? What's on your list? Let us know in the comments below!